The Christian life encounters many pitfalls. One unsuspecting pitfall is that we lose the joy of being a Christian. We become lukewarm in our relationship with Christ. Prayer is routine. Bible study is a chore. Our worship has become cold and formal. What has happened to our lives? There was a church in the New Testament that had these same problems. Jesus spoke these words to the church at Laodicea: “I know thy works, that thou art neither cold nor hot: I would thou wert cold or hot. So then because thou art lukewarm, and neither cold nor hot, I will spue thee out of my mouth.”(Revelation 3:15-16) This church was religious, but they no longer enjoyed Christ’s presence. They had lost a vibrant relationship with their living Lord. What was Christ’s answer to their problem? “Behold, I stand at the door, and knock: if any man hear my voice, and open the door, I will come in to him, and will sup with him, and he with me.” (Revelation 3:20) Christ was telling the church that they were leaving Him out of their lives. He politely was knocking on the door of their hearts; so that they would once again enjoy having fellowship with Him. A meal in Bible times was a time-consuming event where people enjoyed talking and listening to one another. Jesus longs for this kind of communion with us. Have we opened the door? Christ has prepared a meal for us with His presence and blessings. Have we sat down and taken the time to enjoy His presence? He is waiting. When we take the time to enjoy Christ’s presence, we will view life and our circumstances from a totally different perspective. We will see life as God sees life. We will see our problems as God sees our problems. God has prepared a banquet for us. Here is what He offers to us as take time to enjoy His presence. 1. We have guidance in our life. “O send out thy light and thy truth: let them lead me;” (Psalm 43:3a) The question is often asked: “How can I know the will of God?” To understand the will of God means more than following a formula, but we follow the Lord. As we commune with the Lord, we will discover what pleases Him and what doesn’t please Him. God’s greatest priority for our lives is that we know Him. His light and truth will guide us. 2. We enjoy true worship of God. “let them bring me unto thy holy hill, and to thy tabernacles.” (Psalm 43:3b) The Psalmist in the midst of all that was happening in his life saw the importance of worshiping God. Worship is not to please ourselves, but to please our Lord. He desires worship because He is worthy of our worship. Our worship is bringing glory to God in all that we say and do. When we worship God, we recognize His presence and majesty. 3. We have joy in spite of the circumstances in our life. “Then will I go unto the altar of God, unto God my exceeding joy:” (Psalm 43:4a) The Psalmist faced many trials in his life which caused him to become to discouraged and depressed. He understood that in God’s presence there is great joy. No matter what is happening in our lives, if we remember that God is with us, we can experience a joy that is not based upon circumstances, but based upon a relationship. 4. We have an attitude of praise. “yea, upon the harp will I praise thee, O God my God.” (Psalm 43:4b) We often give praise for the blessings that we receive from God, but what about giving praise to the giver of those blessings. When we enjoy God’s presence, we will focus upon all that God is. We will praise HIm for His attributes and titles. Every day, we should take the time to praise God for all that He is and does. 5. We have a contented spirit. “They shall be abundantly satisfied with the fatness of thy house; and thou shalt make them drink of the river of thy pleasures.” (Psalm 36:8) A lack of contentment is a warning sign that we are not enjoying God’s presence. When we are walking with God, we will be totally content. When we are close to the Lord, everything else will fall in place. 6. We receive comfort from God. “I will fear no evil: for thou art with me; thy rod and thy staff they comfort me.” (Psalm 23:4) Comfort is not based on circumstances, but upon our relationship with our Living God. His rod shows his protection against our enemies. His staff shows His guidance and help in our lives. When we have His protection and guidance, we are sure of His comfort and love even in the most trying times. Enjoying God’s presence begins with salvation, but it continues for all eternity. We enjoy His presence as we listen to him, communicate with Him, meditate upon Him and pour out our heart unto Him. Are enjoying His presence today? Enjoying Life or Enduring Life? The jail cell was damp and cold. The quality of the food was dismal. The Apostle Paul didn’t know if he would soon be executed. How could he enjoy life in the midst of such dismal circumstances? The Apostle Paul faced many trying times in his life, but he enjoyed life instead of enduring life. Many of us no longer enjoy life. We complain about our circumstances. Self-pity controls our thought patterns. Anxiety keeps us from enjoying God’s presence. We have the idea that enjoying life is based upon our circumstances. Paul’s circumstances were dismal in the Roman jail; yet he enjoyed his life. 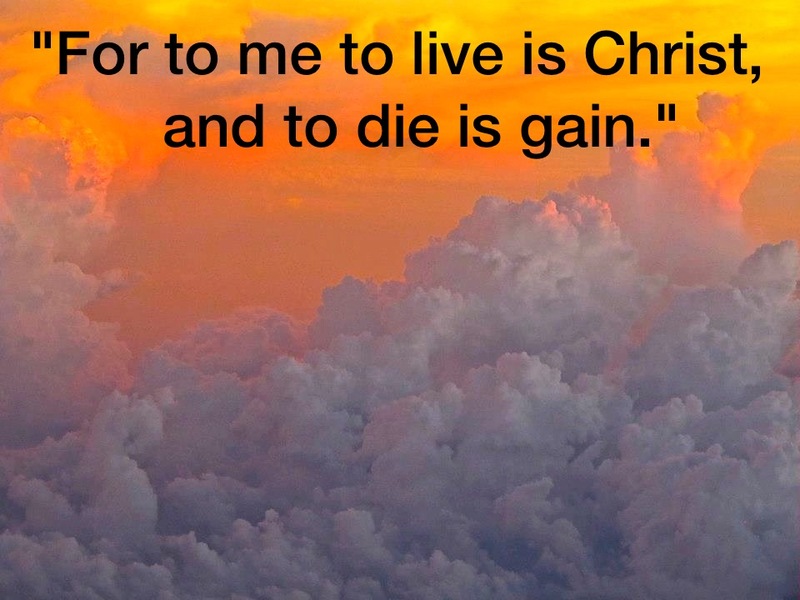 Let’s look at why Paul enjoyed life even while he was suffering in a Roman jail. Many people don’t have a life purpose. They have a vague idea that they should be doing something for themselves, for their family. and for their community; however, they have no real purpose. Paul enjoyed his life because he had a purpose! His purpose was to serve His Lord and Savior, Jesus Christ. Paul enjoyed life because he knew that he belonged to the King of Kings. Paul wasn’t pulled in many different directions. He received his directions from Christ. He even understood that his time in prison was for the glory of His Master. He wrote in another letter. “Paul, a prisoner of Jesus Christ”. We will enjoy life when we live each day in light of the fact that “I am a servant of Jesus Christ”. Paul wasn’t alone in his jail cell. The Lord was with him. Paul enjoyed his life because he was aware of God’s presence even in the most difficult of times. God’s grace enabled Paul not only to survive in his trials, but also to thrive. God’s peace gave him the knowledge that no matter what was happening in his life, God was in control. We enjoy life when we experience God’s grace and peace in even the greatest storm of our life. Even in prison, Paul was ministering to others. He wrote his letter to the believers at Philippi to encourage them. He was willing to sacrifice his life for others. He prayed for others. He shared the Word of God with others. He loved others. Paul didn’t focus upon his problems, but he used his problems as a means of ministering to others. There is great enjoyment in seeing God use us in the lives of others. We minister to others through our testimony, our prayers, our words of encouragement, our expressions of love, and our sharing the truths of God’s Word. Paul’s time in jail was part of God’s overall plan. God used Paul as a witness to the many people with whom he came into contact. God also used Paul’s imprisonment to encourage other believers to go out and share the gospel. God doesn’t allow things to enter into our lives for our harm, but for the good of ourselves and others. We can enjoy life when we surrender to God’s purpose for our trial. Paul showed joy even in facing death, because he knew that death was the door through which he would enter heaven. We enjoy our life on earth when we live for Christ and keep our focus upon the eternal reward that waits for us in heaven. When we live our lives for ourselves, our focus is upon this life alone. Paul saw the big picture, do we? Author markjemilboothPosted on October 29, 2012 Categories Bible Study, Christian Life, God's Attributes, Joy, Prayer, Sacrifice for ChristTags Apostle Paul, Christ, god, grace, heaven, Jesus Christ, joy, Paul, Peace, Servant of God3 Comments on Enjoying Life or Enduring Life? How we begin each day not only affects us, but also affects those around us. How can we start the day in the right way? In Psalm 19, God shares the example of one of His greatest creations, the sun. The sun as it begins each day teaches us many lessons. Once, Sharon and I had the joy of staying a couple of days in a bed and breakfast on the shores of Lake Huron. One morning, we enjoyed a beautiful sunrise over the lake. The sunrise brought the hope of a new day. It brought a renewed sense of the glory of God, and caused us to reflect anew upon the beauty of God’s creation. The sun begins the day with great joy and purpose. It fulfills God’s plan every day. Also, it brings warmth to all of us who live upon the earth. The sun glorifies God in all that it does. What about us? How can we live each day like the sun? 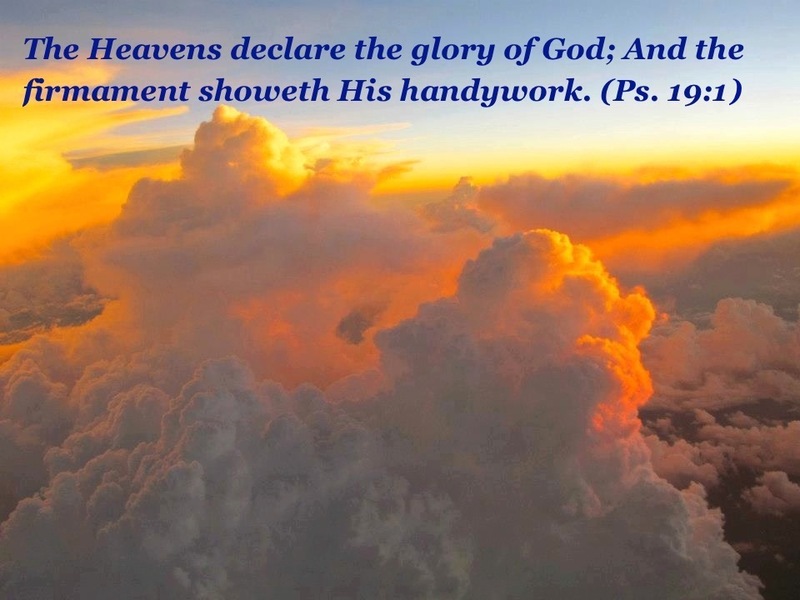 How can we bring glory to God? How do we begin our day? Do we begin the day with dread? Do we begin the day with anger? Do we begin the day with a complaining spirit? Have we tried rejoicing as a way to start the day? Our joy is not based upon circumstances, but upon our relationship with Jesus Christ. A joyful start to the day will help us through the difficulties of the day, will bring glory to God, and will brighten the lives of other people. The sun brings warmth, light and a sense of beauty to all of us. Every day, we have an opportunity to bring warmth into the lives of those around us. We can encourage others with our words and actions. We can share God’s love with those that God brings into our lives. Every day is an opportunity to brighten the lives of those around us. Each new day is a gift from God. We have the opportunity to rejoice in the Lord, to follow God’s plan and to brighten the lives of others. 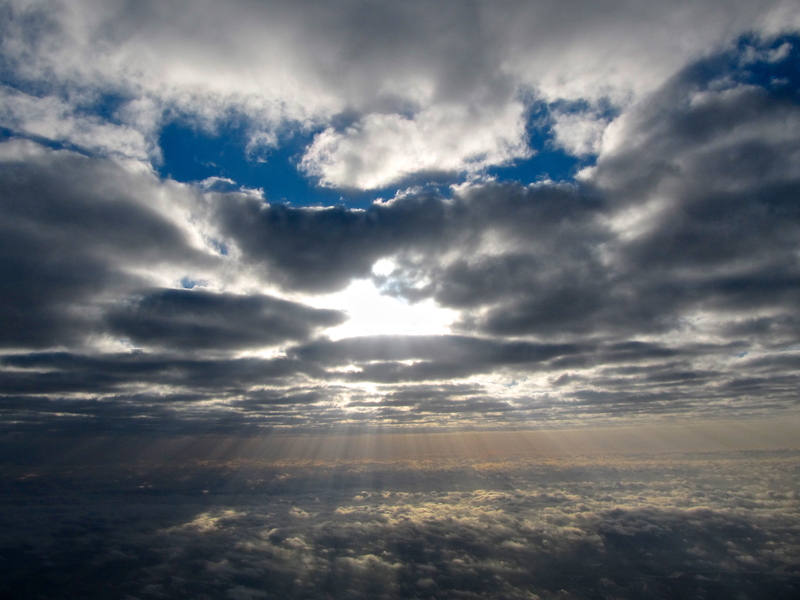 Don’t let the clouds of fear, doubt, anger and self-pity keep you from shining brightly before God and others. Whose life will you brighten today? Despair creates a feeling of hopelessness. This affects our life and the lives of others. God seems distant. The joy of our walk with God has disappeared. Guilt permeates our life. We are confused. We don’t know what to do. David, the Psalmist, was filled with despair. He had fought the enemies of God’s people. He was also fleeing from King Saul. God seemed very distant to David. He was weary. What was David to do? Psalm 13 shows us how to move from despair to delight. David starts out the Psalm in great despair. He ends this Psalm with great delight in God. What changed in David’s life. What must change in our lives to go from despair to delight in God? David shares his feelings with God in total honesty. God wants us to be open with Him. We think we can hide our feelings from God, but He knows all about us. When we are open with God, it enables God to begin his work in our lives. Here are some ways that we can pour our heart out before God. 1. I am impatient with God “How long wilt thou forget me, O LORD? for ever?” (Psalm 13:1) We wonder when is this all going to end? We silently say to ourselves: “Why isn’t God answering my prayer?” We soon develop a spirit of complaining. We hang on to our faith, but we are becoming weary of waiting. 2. I feel deserted by God. “How long wilt thou hide thy face from me?”(Psalm 13:1b) God’s face doesn’t shine upon us as it once did. It seems like a dark cloud has come between God and us. This dark cloud can be caused by our sins, our circumstances, or our doubts. 3. I am confused. “How long shall I take counsel in my soul, having sorrow in my heart daily?” (Psalm 13:2a) We don’t know what to do? There are no answers in ourselves. We don’t know where to go for help? God’s Word doesn’t seem to help in giving us direction in our lives. 4. I am defeated. “How long shall mine enemy be exalted over me?” (Psalm 13:2 ) We quit living our lives with joy. We are going through the motions. We feel as though we have been kicked to the ground. We can’t get up. We just want to quit. BE FOCUSED UPON GOD: THE SECOND STEP OF MOVING FROM DESPAIR TO DELIGHT. Despair has overtaken David’s life; yet he remembers that God is alive. He hears our cry. God has the only answer to his despair. After pouring out his heart to God, he makes his plea unto God. David remembers certain truths about God in his prayer that enable him to move from despair to delight. 1.God remembers me. “Consider and hear me, O LORD my God.” (Psalm 13:3) When we pray unto God, we face the reality that God hasn’t forgotten about us. We are His children. He will never leave us nor forsake us. Even the worst of circumstances can’t separate us from the love of God. 2. God hears me. Prayer not only acknowledges that God remembers us, but we also know that He hears us. God is always available to hear our cries unto Him. He hears even the most silent cry from our heart. BE FULL OF PRAISE UNTO GOD: THE THIRD STEP OF MOVING FROM DESPAIR TO DELIGHT. David’s circumstances haven’t changed, but he has changed. He has moved from despair to delighting in God. We long for God to change our circumstances, but God’s goal is to change us. David expresses his delight in three ways. 1. I trust in God’s loving-kindness. 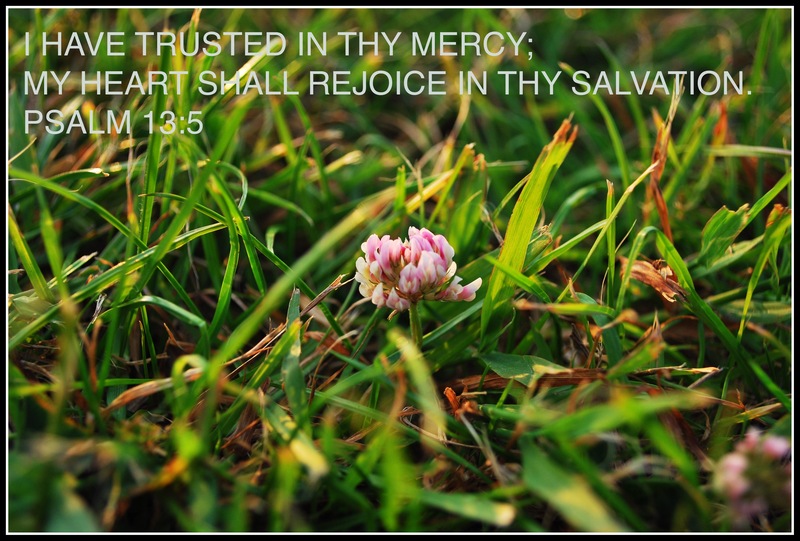 “But I have trusted in thy mercy;” (13:5a) David’s faith is renewed in God’s love towards him. We often speak of the love of God, but forget to live in accordance to His love. When we climb out of the depths of despair, we see the sunshine of His love again. We delight in all that He is. Our despair dissipates in the warmth of His love. 2. I rejoice in my salvation. “My heart shall rejoice in thy salvation.” (13:5b) When we move from despair to delight, our hearts are open to the joy of the Lord. We realize that our salvation not only gives us forgiveness and eternal life, but we also are a child of God. Our Father is always ready to carry our burdens and hold us in His arms. David’s despair turned to delight when he turned his eyes upon the Lord. Yes, the Lord seemed distant and uncaring to David; however, David demonstrated faith in reaching out to God even when God seemed beyond his reach. Our despair can also become delight when we reach out to our Heavenly Father who cares for us.